This entry was posted on October 9, 2013 at 11:10 am and is filed under CYCLING PROMOTION. You can follow any responses to this entry through the RSS 2.0 feed. You can leave a response, or trackback from your own site. Yorkshire’s councils have begun to explore ways in which to make the legacy of next year’s Tour de France Grand Depart last into the future, with the idea raised of planning 10 years of events and campaigns that would see the area become a European capital of cycling. Thanks Dave, I managed to miss that, and didn’t come across it in my (admittedly limited) research ahead of writing the piece. It’d be interesting to know about developments – I hope very much I’m wrong, but it looks to me like it could be a good intention that might unfortunately come to nowt. Personally I’d hope there would be a push towards 20 mph as the default speed limit in all of the Dales’ towns and villages, as well as a driver awareness campaign about the (completely legitimate) needs of people on bikes; it’d also be good to see cycling promotion projects based in/around the County’s rural schools. Given such arguments clearly matter, I also think – given the current and likely future importance of (cycle) tourism to the region – there’s an economic argument for broadly embedding a stronger pro-cycling sensibility in the local population, in that people with what for short-hand I’ll call good cycling literacy are more likely to provide services which attract and impress cycling visitors. But as well as watching to see what ‘the authorities’ come up with, wouldn’t it also be wonderful if concerned/enthusiastic local people took things into their own hands? Maybe the best way in which cycling could be more everyday in the Yorkshire Dales would be through the further proliferation of electric assisted bikes and luggage trailers. Friends of mine at Laurieston have them and they seem to have transformed their cycling. A shortish commute of 5 miles on up and down roads, that would previously been possible, but sometimes challenging and unappealing, has become everyday and straightforward. Carrying extra weight is no longer a drag, just more use of the battery. Might not be carbon neutral, but certainly a lot less carbon-heavy. The govt has subsidised electric vehicles, though differential VED and other incentives, why not do the same for electric bikes? For myself, I’m already thinking that there will come a time when I invest in one as an old man still wanting to do shopping by bike. I love the shot of the tree, indicating a strong and persistent wind coming from the left. I think, like Cen, that the electric bike is going to change things a lot. The batteries are going to get smaller and lighter and more powerful, almost certainly, since there are so many gadgets that use them and research is huge. I am getting to the point where in some few years, I will need an electric assist to climb some of the bigger hills in this area, and I don’t want to give up seeing them on the bike. Watch the electric space, I say. Thanks Tom. Do people use them yet in/around Bedarieux? Also, do you reckon you would be accepted by other local riders if you tried to join, say a club ride, on an e-bike? I think the processes of their gradual incorporation into everyday life will be interesting, and (obviously I suppose, like any ‘new technology’) not entirely automatic. But yes, like you and Cen, they’ve entered into my imagination as something I’ll very probably one day use, in order to keep myself riding. Excellent post, though I originally hoped you were going to tell us of a breakthrough in tubular tire technology based on the post title. First thing to say is…my, that’s a nice looking Wilier bike you seem to be riding. 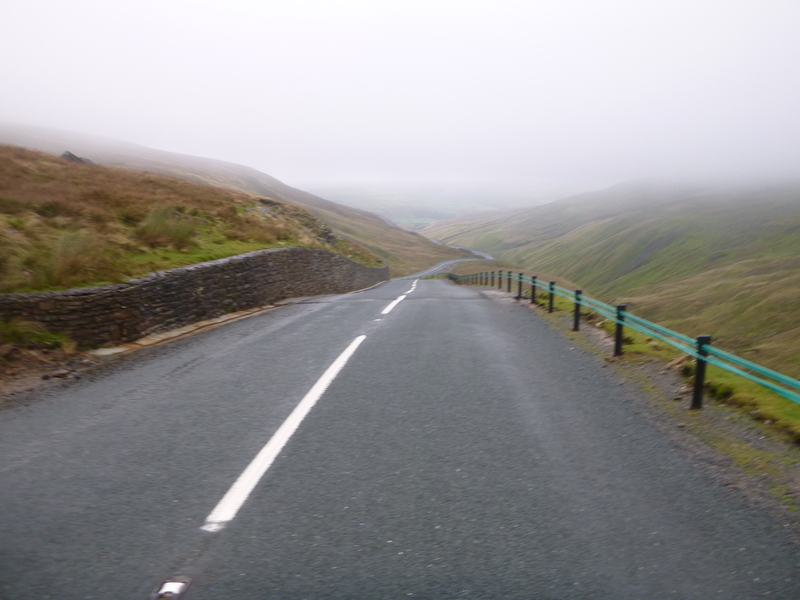 You are dead right about the weather playing a part as the Tour climbs the Buttertubs – there is a small part of me praying for a screaming headwind and horizontal rain (see how THEY like it!). 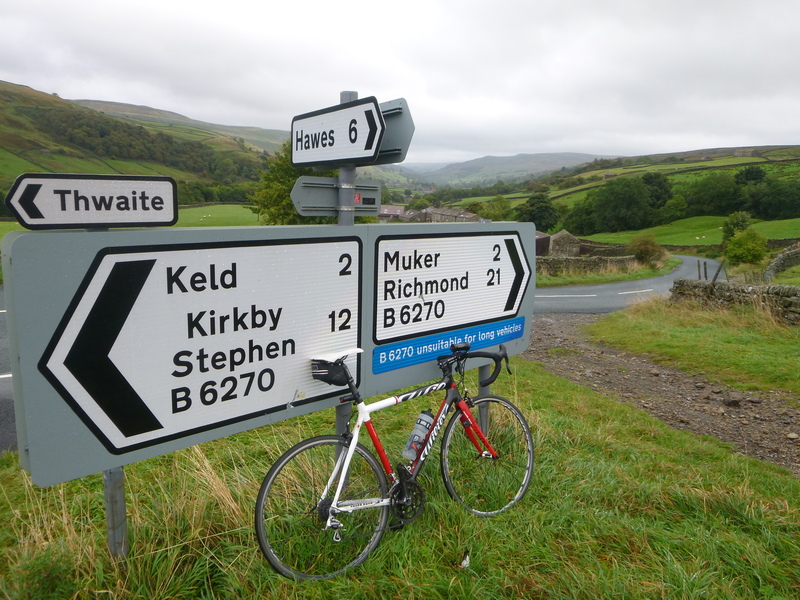 I presume they will leave Hawes with a nice slice of fruit cake topped with Wensleydale cheese anyway (de rigeur) so that should see them through. I was cycling in midland Scotland recently – Clackmannanshire (which is a local government area) – and came across a couple of smallish rural roads, both I suspect used as car ‘rat-runs’ at commuting times, which had speed limits (20 for a lane-with-passing-places, 40 (a bit high!) for a narrow two-lane road). Both were announced by large signs labelling them ‘cycle friendly road’ or ‘pedestrian and cycle friendly road’ (there’s a photo at http://www.clacksweb.org.uk/transport/cycling/). I have mixed feelings about this: all roads, especially ones like this, should be cycle friendly by definition, and it kind of implies that any road which is NOT labelled is fair game for speeding cars. But as a high-visibility reminder, and hopefully a genuine safety improvement, it’s a bit more positive and prominent than one of those warning triangles which feel like they’re treating cyclists as one more ‘hazard’ to motorists. 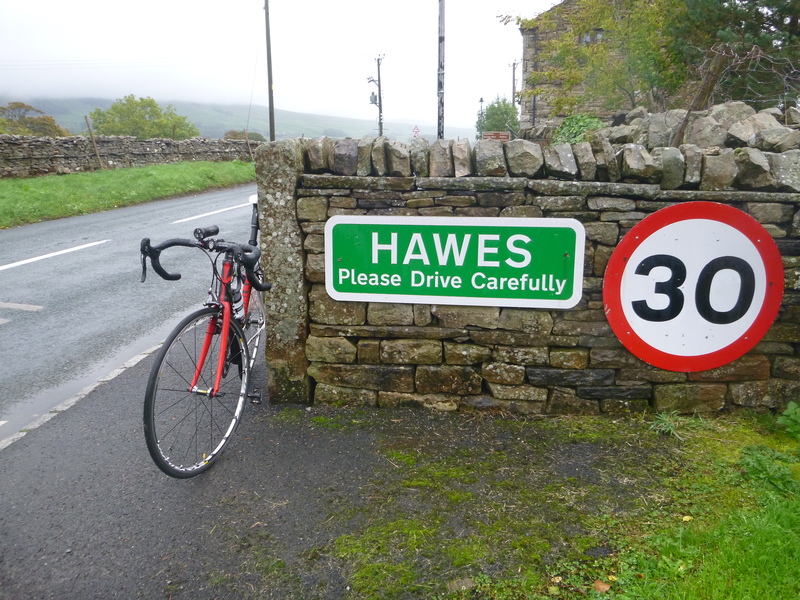 I agree it would be great to have speed limits in towns like Hawes, but as an aging cyclist – contemplating electric bikes with increasing urgency – I feel much more vulnerable outside towns than in them. 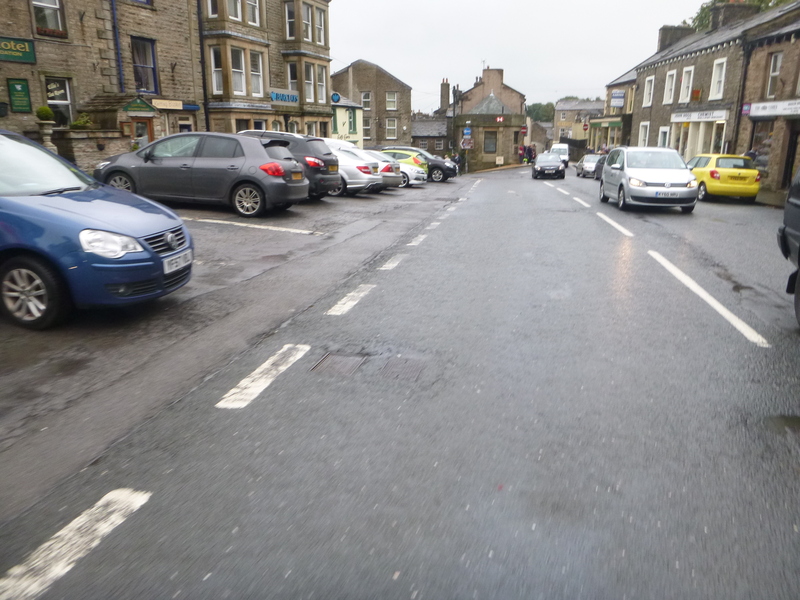 How about a lot of ‘cycle friendly’ roads in the Dales, including main A roads?? Thanks very much for those observations and thoughts – and link to the photo – Oliver, much appreciated. I share your mixed feelings and would also add that signs such as these by themselves – although perhaps a start – just aren’t enough (will those speed limits be policed?). I agree also about the warning triangles with a picture of a bicycle, and hope one day the Department for Transport will realise how absurd those are, and consign them to history. As you suggest, perhaps in their place we should have speed limits which assume (an assumption which is a strong policy aspiration) people walking and cycling will be encountered and should be treated respectfully; this could be combined with mass media-based educational campaigns explaining to motorists how patience, ample space and slowing down is required of them when passing people walking and cycling, as well as those on horses (and this is even more important on A roads, rather than applying most (or only) to those roads and lanes on which motorists are already likely to be travelling more slowly and carefully). 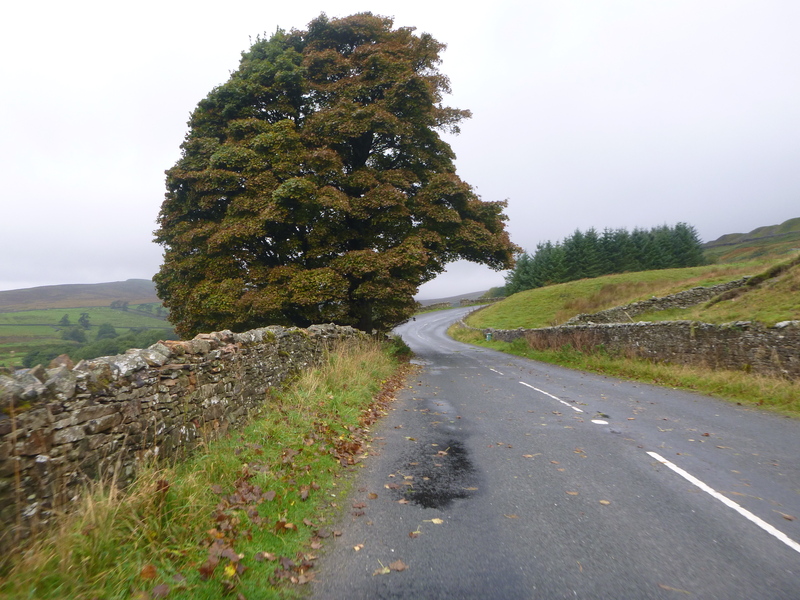 As you probably know, a few years ago there was a, somewhat similar (but probably less effective, because it didn’t explain to motorists how they should change their driving behaviours), ‘Quiet Lanes’ scheme, which saw signs erected at the gateways to certain roads around the Forest of Bowland (for example the lane between Slaidburn and Bentham over Cross o’Greet, and some of the little lanes around Chipping); but those signs are gradually disappearing. Again, the intention – perhaps influenced by some European funding scheme – was almost certainly good; but it was a scheme that was easy to implement, because those lanes are already quiet and civilised places to cycle (and walk, horse-ride); so again a scheme delivering too little, and likely with only very minimal – if any – positive effect. There’s a need for much bolder, clearer action. It’s too easy to introduce schemes which will change nothing; and much harder to introduce ones which will actually influence behaviour. But I suspect all road users would appreciate money being spent in ways which actually make a difference, and send clear, unambiguous signals about the kind of transport environment we should all, collectively be contributing to. 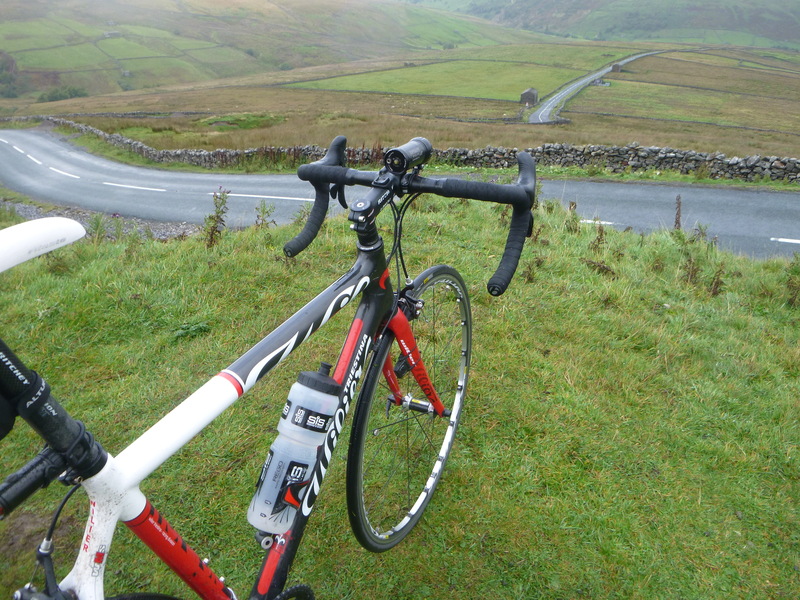 With Yorkshire at the centre of the cycling world over the next 9 months, now is certainly the time for relevant authorities to act, and produce a hugely beneficial impact that can be felt before, during and long after Le Tour. 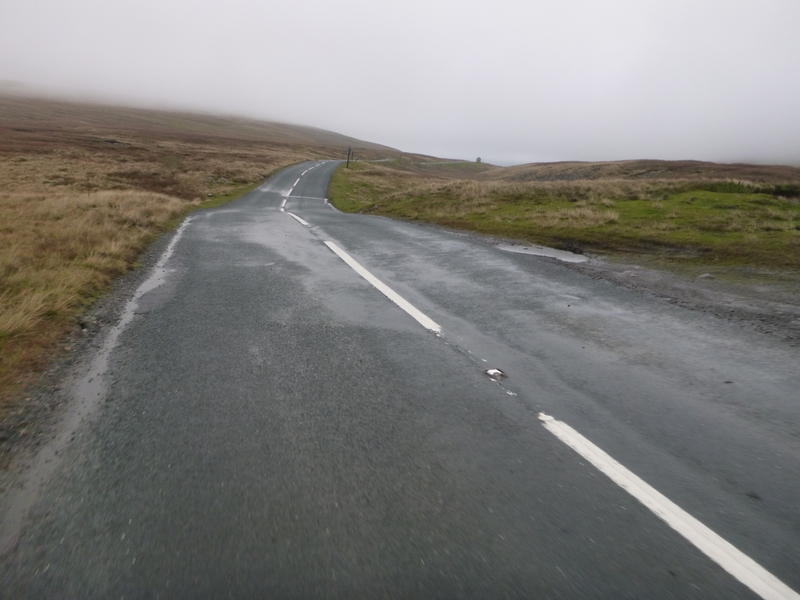 And yes, especially somewhere like Yorkshire, where many A roads tend to follow valleys and form essential cycling routes, that must include A roads – the future (and places which follow their lead) would only be thankful. I’m pleased and reassured that at least some people involved in the Tour’s first two stages next year seem to be following and reading these kinds of discussions, so let’s keep our fingers’ crossed! 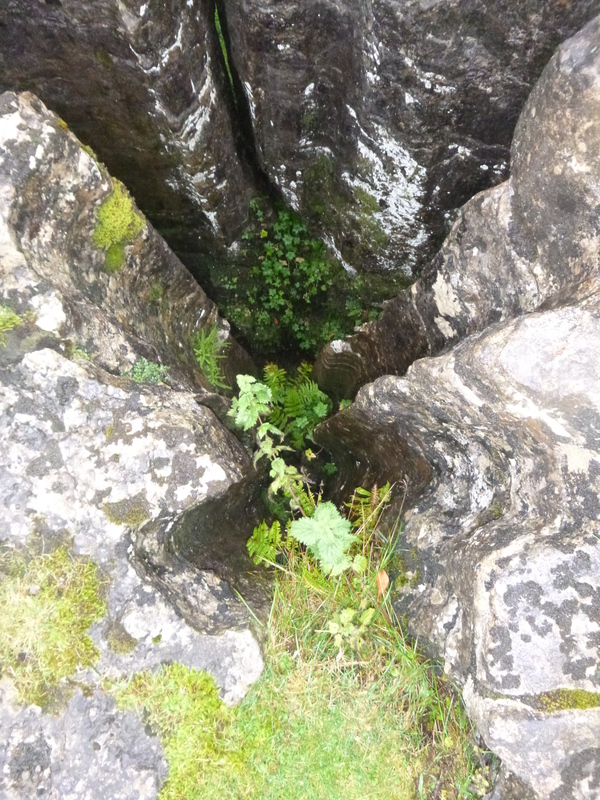 The Local TV News was reporting that the cost of fuel in Hawes will possibly be reduced by a 5p per litre government subsidy !. Thanks Bill. We’re still really stuck in this ‘fuel prices are too high’ discourse, aren’t we? I realise fuel prices hit people and communities differentially, so there are important social justice arguments to consider, but I think the debate would be so much more sensible and productive if we could shift more clearly towards a ‘how do we adapt our lives to the inevitability of high and increasing fuel prices’ discourse, and perhaps (he says ambitiously!) even a ‘how might high fuel prices provide new opportunities to think and do things differently?’ discourse. Shift the discourse and cycling immediately becomes much more clearly an important part of the future. Although simply moaning about the high costs of heating and driving is I think part of the problem, not the solution, I also think that’s so obvious that – people not being inherently daft – we’ll surely get there in the end ….? Thanks for reading and chipping in – much appreciated.